Jake looked down at me and I noticed again how blue his eyes were. My gaze moved to his lips. I dropped my hand from his arm and swallowed. “And what did I do to deserve the brush-off?” he asked. The elevator doors opened and I let out a sigh of relief. Saved by the bing! I moved for the doors, but Jake beat me to them. Only he put a hand out to hold them open and turned to face me, eyebrows raised. So much for escaping the question. I could feel every beat of my heart, and the walls of the elevator seemed to be closing in on me. “It’s nothing against you personally. You seem nice—you’re very charming, actually, which I’m sure you know. But you live in my building, and I’ve got certain rules about that kind of thing. Before I stuck to the rules, my life was much messier.” I ducked under his arm—damn he smelled good—and started for my car. I kept my eyes on my car, afraid that if I looked at him, I might give in. And yes, last night I’d considered trying one little date. But he noticed too much, and he pushed against boundaries I wasn’t ready to let go of. It was time I pushed back. “Why have you chosen to pursue me? I’m not playing hard to get. It’s not some game you’ve got to win.” I pointed my remote at my silver Dodge Durango and pushed the unlock button. “You don’t even know me,” I said. 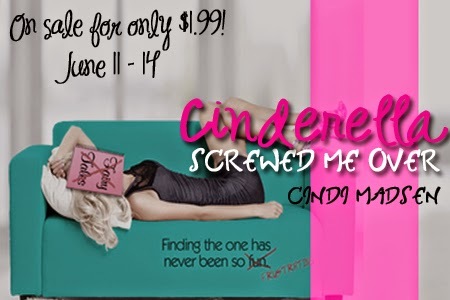 “Yeah, Cinderella screwed me over.” Without any more explanation, I got into my car, pulled the door closed, and fired up the engine. 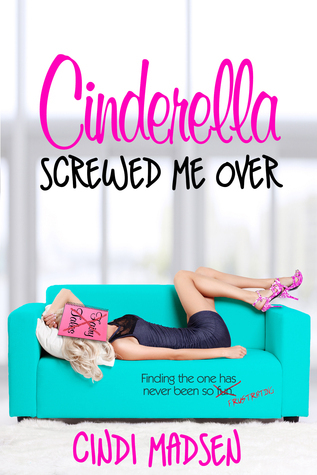 Check out the Cinderella Screwed Me Over PINTEREST board! Cindi Madsen sits at her computer every chance she gets, plotting revising, and falling in love with her characters. Sometimes it makes her a crazy person. Without it, she’d be even crazier. She has way too many shoes, but can always find a reason to buy a new pretty pair, especially if they’re sparkly, colorful, or super tall. She loves music, dancing, and wishes summer lasted all year long. She lives in Colorado (where summer is most definitely NOT all year long) with her husband and three children. She is the YA author of DEMONS OF THE SUN & ALL THE BROKEN PIECES, and the adult author of FALLING FOR HER FIANCE, ACT LIKE YOU LOVE ME and CINDERELLA SCREWED ME OVER.